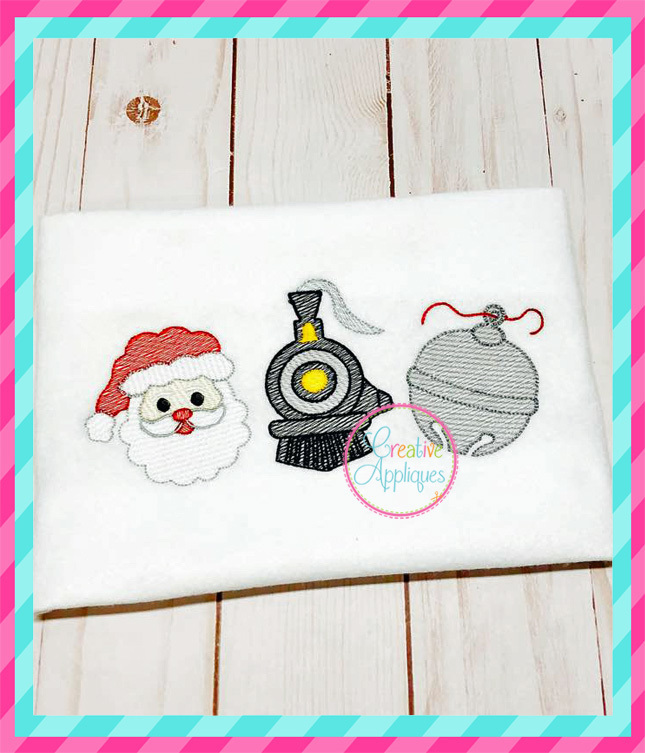 Sketch Stitch Santa Train Bell Embroidery - 5 Sizes! Sewn in a sketch stitching that allows for the item being sewn on to show through. Comes in 5 sizes and includes a step by step stitch order chart. Alphabet is not included. 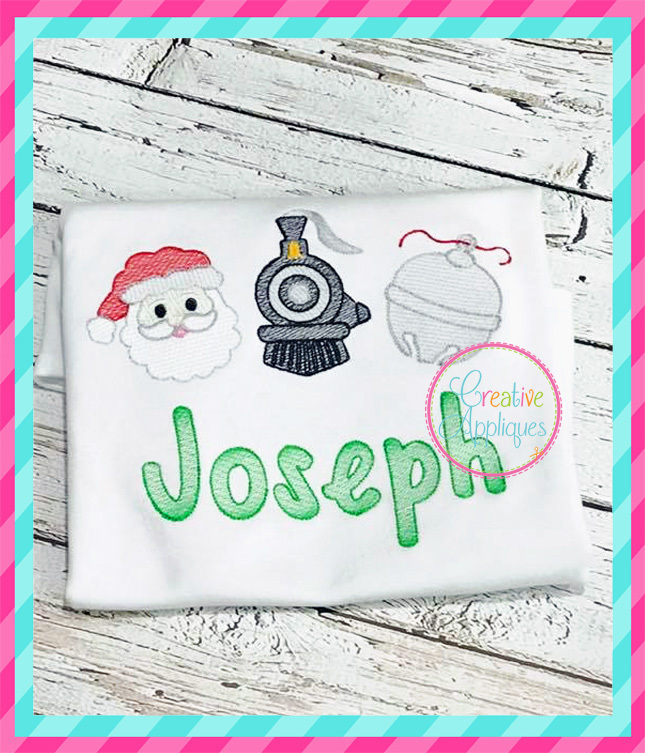 1st Christmas Reindeer Applique - 4 Sizes! Santa Christmas Owl Applique - 4 Sizes! Rudolph Reindeer - 4 Sizes! Rudolph Reindeer Applique - 4 Sizes!